Yesterday morning we awoke with the mission of going to town to purchase a couple of plants my husband had seen in a friends garden.The allure of this plant was the magnitude of bees it attracts. 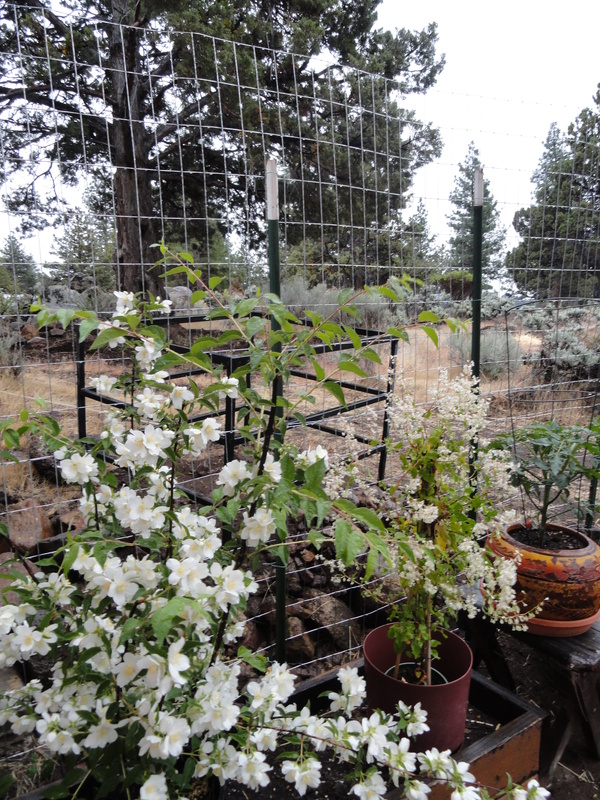 I have planted seeds for pollinators,however their blooms are still a few weeks off and our tomatoes are producing lots of flowers NOW. We called Bill aka Bing Bing Bing Ricochet Billy to find out the name of this plant-he told us Cheyenne. So with info in hand we set off to commandeer above mentioned flora. Much to our dismay the nursery we went to didn’t have it this year-however we quickly shifted gears and decided to walk about the lovely grounds and simply observe what plants had similar appeal. We came upon a display of Gold dust wallflowers that were abuzz, definitely a contender! The placard of info on this little gem was limited, we were looking for both immediate gratification and staying power our uncertainty as to whether it was a perennial (and its mere 4inch pot) caused us to move on. We headed towards the exit and came upon a stunning plant with deep green glossy foliage and soft white flowers with a bewitching fragrance with multitudes of bees dancing about its blossoms! WE HAD A WINNER!!! 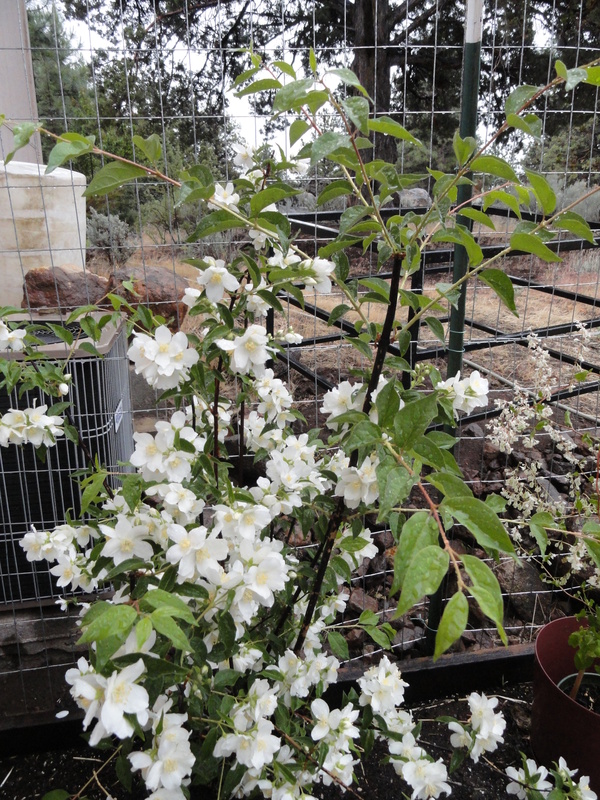 So it was with our Blizzard Mock orange that we departed elated with our find. With that High we needed more-so off to another nursery for our next fix.Using the same modus operandi we walked the grounds letting a familiar buzz lead the way.There were several possibilities, however we ended up back at the first plant to catch our ears-a lovely cascading Silver Lace Vine with tiny white flowers and many admirers flitting about it’s blossoms.We are now proud stewards of these precious plants and look forward to a wonderfully symbiotic relationship.